Crudele lift truck services includes repair services for all makes and models of forklifts scissor lifts, and carts. Emergency Assistance, Replacement Rentals as well as Planned Maintenance Programs for your fleet. We also provide parts sales for most makes and models of lift , scissor lift trucks and carts. Our team is committed to providing excellent customer service and top quality repairs and service, all at a low price. You’ve got to keep your forklift running, and doing that takes a preventative maintenance program and necessary repairs. We always strive to provide the best possible forklift repair for our customers. We are a locally owned and operated business in the West Chicago area, and are more than willing to travel to most any location. If you are in need of lift truck services, repairs and preventative maintenance, or have any questions, please feel free to contact us. 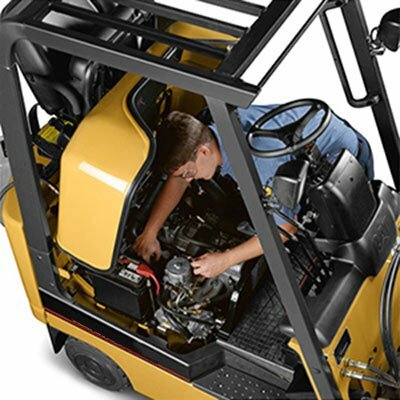 Our lift truck services includes programs able to meet your forklift service needs we have trained service technicians with fully equipped service vans to service on site for all make and models both large and small companies with reliable and affordable full service and plan maintenance programs. As well as emergency service. Our team can help reduce your down time and increase profitability. Plan maintenance service program’s makes it easy for you make certain that service performed when needed our team makes the necessary maintenance to keep yours fleet up and running. Down time is lost time are techs are trained and has experience on multiple makes and models are van are stocked with replacement parts for your equipment.